Desflora proudly supplies quality lifelike artificial flowers, plants and floristry supplies to the public and wholesale sector. 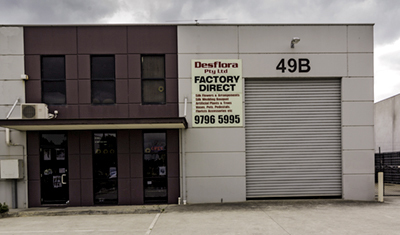 Desflora’s showroom is located in the south eastern suburbs of Melbourne. Visit us at 49b Rimfire Drive Hallam.